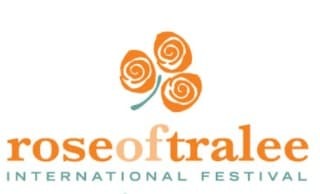 The Rose of Tralee International Festival is one of the Iargest and longest running festivals in Ireland, celebrating 55 years in 2014. Roses are chosen from our Rose Centers throughout the world including the UK, USA, Australia, New Zealand, the Middle East, Luxembourg, Germany and of course Ireland. Entrants are nominated by local businesses or organisations and take part in local heats to find one person who will represent the centre in the final. This all leads up to the Selection of the 2014, “Rose of Tralee”. Rose selection is based on the William Mulchinock’s song The Rose of Tralee. And Mary all smiling was listening to me. Her voice was solace and comfort to me. The Rose of Tralee has never been more accessible with regular trains, buses and flights to and from Kerry. Trains run regularly between Dublin and Tralee, and also Cork to Tralee and Limerick to Tralee.